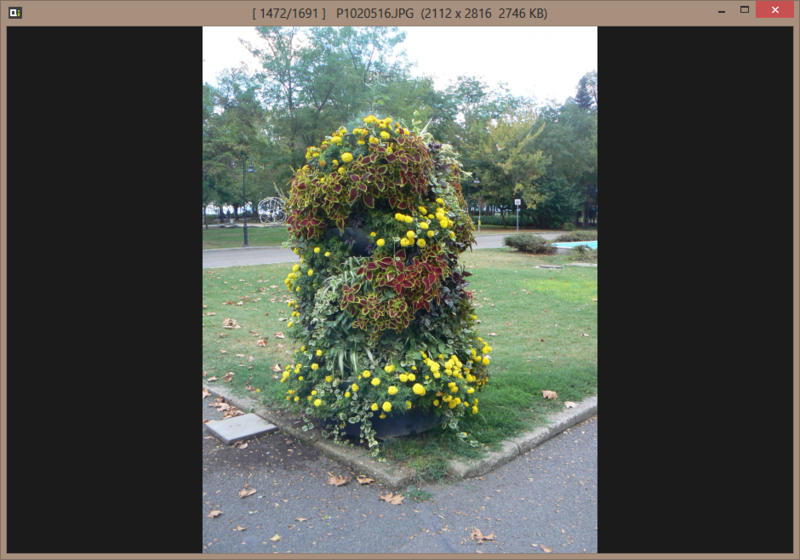 A couple of days ago I came upon another interesting image viewer- qimgv, which I found very promising- intuitive, customizable, portable, open source, cross platform. If it gets some features which are indispensable for me I may consider it as a replacement for my aged default image viewer (FastStone MaxView). The idea is to have a uncluttered, simple and easy to use UI. You can see ui elements only when you need them. There is a pull-down panel with thumbnails, as well as folder view (accessible by pressing Return). You can also bring up a context menu by right-clicking on an image. As of version 0.7 qimgv is fully porable- the configuration file (qimgv.ini) is saved in program folder and the program does not write to AppData or to Windows Registry. I presume that qimgv should work under Windows 7 or higher. qimgv is released under GNU General Public License v3.0. qimgv is written in C++ and uses Qt 5. The version without video support is not very bulky- 13.3 MB compressed, 48.8 MB uncompressed, while the version with video support is huge- 37.2 MB compressed, 127 MB uncompressed because qimgv uses mpv for MP4 and WebM playback. Memory usage varies depending on the number of images in the viewed folder. 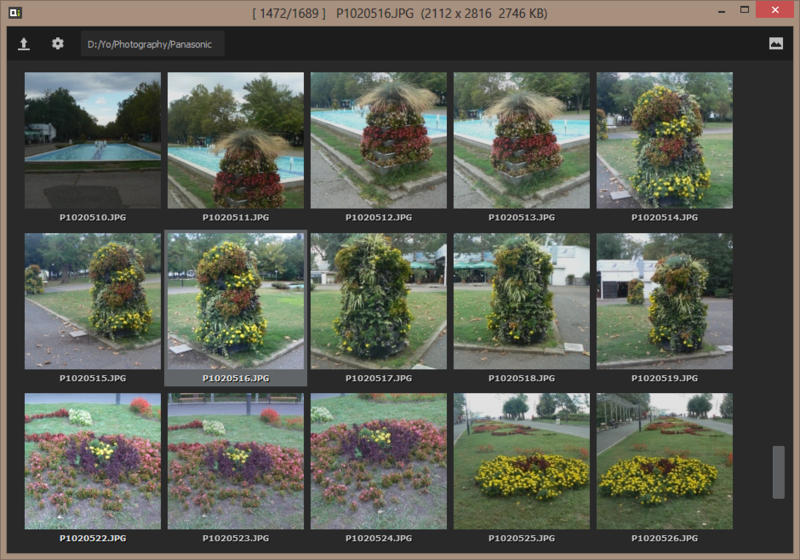 qimgv supports animated GIF but does not support animated PNG which for me is a major drawback. qimgv supports drag&drop for both files and folders. qimgv is not a new project (I suppose it is 4 years old) yet surprisingly it is not listed on the popular download sites.